Dozens of wildfires have filled West Coast skies with thick smoke this summer. Near the California-Oregon border, the unhealthy air has forced people to wear smoke-filtering masks almost every day for more than a month. It's become part of everyday life. But in recent weeks, people have gotten tired of wearing the plain white paper masks every day. Instead, they’re investing in nicer ones made of fabric, and some even have artsy designs. Noa Traylor of Weed, California, found his mask online. It’s a black fabric mask with a white decal of a zipper. 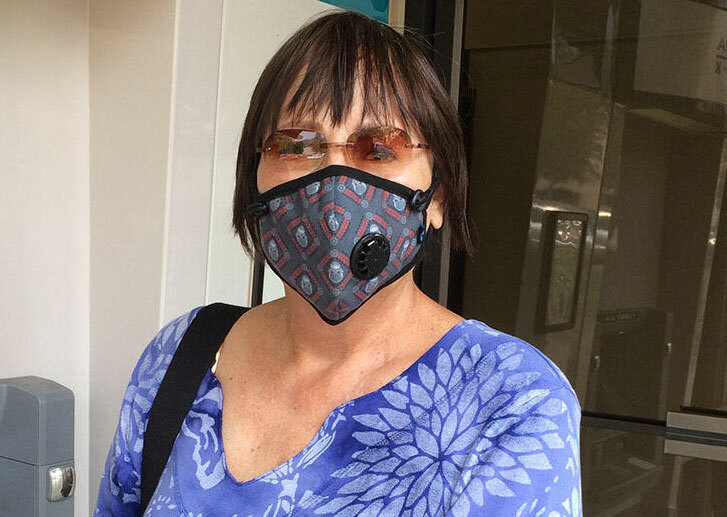 The mask Traylor bought online has the N95 rating, which means it filters 95 percent of the super small particles that can cause lung problems. It also fits his style. This particular design reminded him of an anime character. "It’s called Tokyo Ghoul,” Traylor said. “This guy has a mask and it like, low-key resembles this one. I thought it was tight, so I copped it." Some people just want a mask that's more comfortable. Eileen Weinberg of Ashland, Oregon wanted something that was easy to put on and take off. In addition to an N95 filter, her cloth mask has an attractive plaid design. Ashland resident Mary Kyman said she specifically sought out her “designer mask.” It's purple and gray, and has skulls on it. 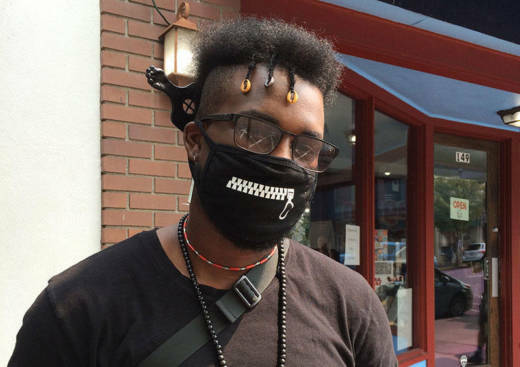 People are finding these artsy masks online. Meanwhile, local hardware stores keep more heavy-duty masks in stock. The Ashland ACE Hardware store carries a mask that filters 99.9 percent of smoke particulates. For some people, buying these stronger masks is a necessity. Talent, Oregon resident Danae Wilkin has to wear two different kinds of masks: a heavy duty one when she’s outside, and a lighter mask when she’s indoors. Wilkin says she has sensitive lungs. The smoke also bothered her last summer, when it covered the Rogue Valley for several weeks. People like her are staying indoors. They’re cancelling outdoor events and going somewhere that isn’t smoky. While local businesses might have taken a hit from the smoke, there’s at least one marketing opportunity on the horizon: selling more effective -- and attractive -- face masks.